Stockton Domestic Violence Defense Attorney Tai C. Bogan has received not guilty verdicts at trial, had charges dismissed or reduced in various domestic violence cases. The San Joaquin County District Attorney Office has a special unit dedicated to the prosecution of these types of cases. As with all criminal charges the person accused should seek legal advice. This admonition is particularly true in domestic violence cases. Crimes such as battery against a spouse, assualt vandalism, criminal threats and many others are domestic violence cases when the person whom the crime is against is someone the suspect has an intimate relationship with, such as a spouse, former spouse, cohabitant or former cohabitant the crime is becomes a crime of domestic violence. In Stockton, the Domestic Violence cases are heard in Department 15 of the San Joaquin County Superior Court. That is the department that hears the arraignment, pre-trial, preliminary hearing and readiness conferences related to domestic violence cases in Stockton. At this time cases from Manteca and Tracy are heard in either Department M1 or M2. Cases from Lodi are heard in Stockton until the Lodi Court is re-opened. Once the case is set for trial in the San Joaquin County Court system, then the case will be assigned for trial in Department 25. Once in Department 25, it will be reassigned to an open Trial Court when the time comes for trial on that particular case. If convicted of Domestic Violence in San Joaquin County the court places the person on formal probation, but also requires them to periodically check in with the Court regarding their progress. The San Joaquin County Superior Court Judges often use what is called “flash incarceration” where the probationer has a minor violation of probation. This means the Court may immediately take the person to jail from the Court for a few days up to a week. One common domestic violence charge is that of Battery. Batter under California Penal Code § 243(e) is a battery against an intimate partner. An intimate partner is defined as a spouse, fiancé, person you date, cohabitant, parent of your child, your current or former spouse or dating partner. A second common charge in a domestic violence case is Battery Causing Injury. Battery underCalifornia Penal Code 273.5 is a battery against an intimate partner, as defined above, which causes a traumatic condition. A third common charge in a domestic violence case is Criminal Threats: Making criminal threats against an intimate partner is a domestic violence crime. A fourth common charge in a domestic violence case is Dissuading A Witness. Dissuading a witness who is an intimate partner is a domestic violence crime. A fifth common charge in a domestic violence case is Vandalism. Vandalism against an intimate partner is a domestic violence crime. False Allegation: Jealous ex’s commonly make false allegations. False Identification: Sometimes witnesses don’t see what they think they saw. Formal Probation: Required To Report To Probation Officer. Domestic Violence Class: 52 Weeks Domestic Violence Class. Protective Order: Stay Away or Do Not Annoy and Harass Order. Search Waiver: Home, Cars, Areas Under Control Searched Without Warrant. Immigration Consequences: Could be deported and denied reentry into United States. Firearms Ban: Likely lifetime ban on firearms and ammunition. 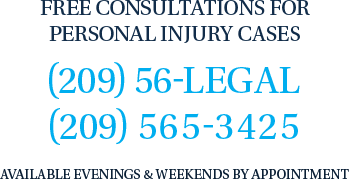 When you face domestic violence charges you should contact Stockton Domestic Violence Defense Attorney Tai C. Bogan at 209-565-3425.